I successfully installed macOS Mojave as a guest OS on Parallels 14.0.1. I installed by using the Parallels Control Center, choosing File > New > Install Windows or another OS from a DVD or image file > Continue (button) > Install macOS Mojave.app (auto-detected in my Applications folder, and shown by default) > Continue (button). Within that guest OS, in the Finder, the sidebar shows an extra volume named Install macOS Mojave. ➥ What is this extra volume? ➥ How do I get rid of it? Will doing so cripple my VM? It sounds suspiciously connected to the installer app. Previous versions of Parallels had a nasty problem where it created a second file besides the usual .pvm file, required for operation -- so you might back up and restore the .pvm only to discover that without the second mystery file you could no longer use your virtual machine. Given that history, I'm very nervous about this mysterious extra volume and Parallels dependence on it leading to future total failure when moving to another computer. No other volumes appear in the configuration panel Hardware. I have already successfully installed the Parallel Tools into this guest OS. Browse other questions tagged install parallels-desktop mojave . 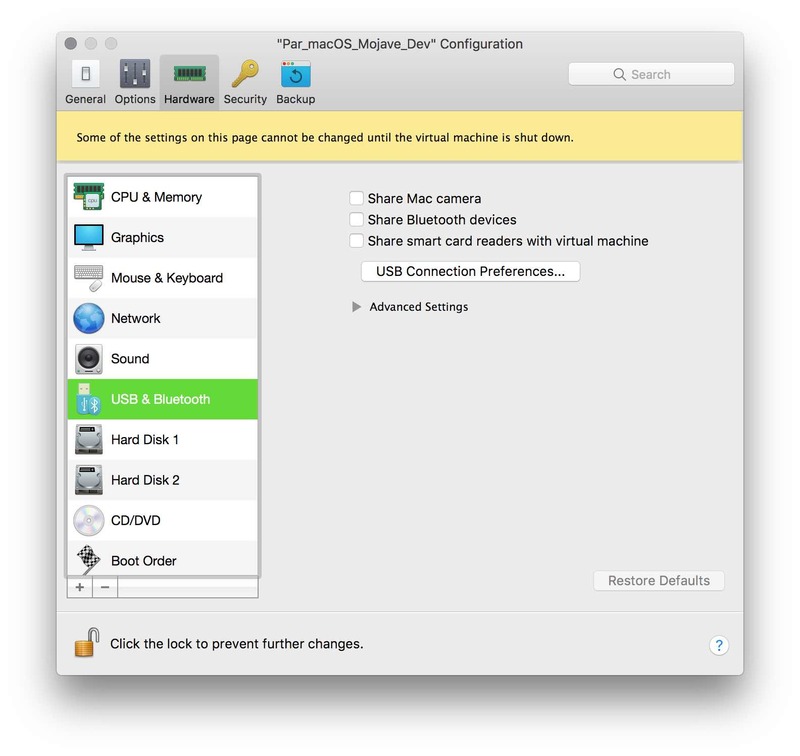 How to install Mac OS X in Parallels VM without extra `OS X image file.hdd` file on host Mac? 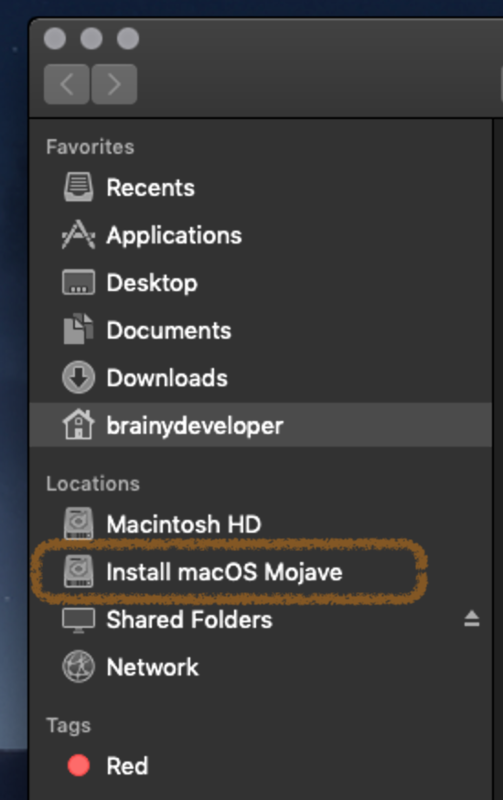 Has Mojave broken Applescript: set volume output volume?